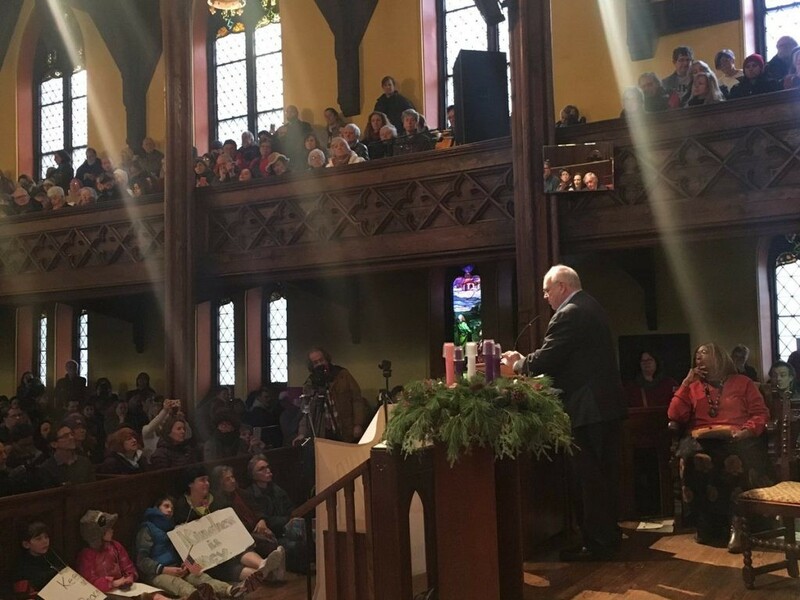 I spoke this afternoon at a rally in Pittsfield, Massachusetts my (almost) hometown (I live one town north, in Lanesboro.) The rally honored the four freedoms, articulated in his 1941 state of the union address by FDR: freedom of speech, freedom of worship, freedom from want and freedom from fear. Along with a range of Massachusetts politicians — Senator Ed Market, Pittsfield Mayor Linda Tyer — I was part of a group of community leaders invited to reflect on the four freedoms and our particular moment in time. When Franklin Delano Roosevelt invoked the four freedoms in his 1941 state of the union address, the world was at war, and the president wanted Americans to support the government in spreading these freedoms around the world. We’re in a very different world now, where decades of international cooperation and unification are giving way to isolationism, nationalism and the demonizing of migrants and marginalized groups. These scary trends aren’t limited to the US — we see them everywhere from Britain to Hungary, France to Russia, Poland to South Africa.